Early this week, together with my parents, elder bro, sis in-law and kids, we went to my corporate appreciation night out at USS, Sentosa. It was a weekday night, exclusively opened for staff from 730pm to 1130pm. The young and old had fun! My parents went on the carousel with my kids. It was a nice image to keep in memory when I saw my parents had fun like kids! My dad back to being a child! As we toured along, I felt so bad when Jazz wanted to get on the many rides, and I've to tell her, "You're too short, Darling." Despite my efforts of giving her thick padded shoes, she was far from reaching the minimum height limits for certain rides. That evening, she went onto the Madagascar Boat ride, carousel, Shrek 4D and Lights, camera, action. Jareth did almost all too, except for the boat ride, which he did not qualify for the minimum height. For some reasons, the kids fussed towards the end of Shrek 4D and Jazz refused to wear those glasses as she knew images will be coming out. That probably explained why she didn't enjoy. For the grown ups, we went on the Jurassic rapid adventure, Battlestar Galactica (for the strong hearted) and the Transformers. We took turns to be with the kids, and I ensured my parents could enjoy more than myself. 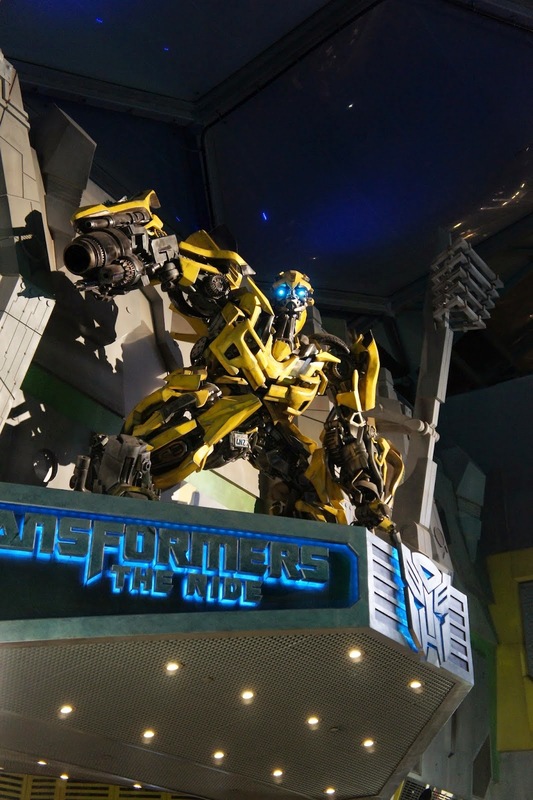 My favourite ride of all was the Transformers, it made me realised and appreciate the vast pace of technology. A 3D thrill ride that made my evening worth, apart from the family bonding. My dad enjoyed the ride and my mum shut her eyes throughout. All I can say is, quoting Optimus Prime, "Your bravery saved the planet." It was a great night out for us. Jare dozed off in the park and Jazz had fun all the way till 11:30pm, she zonked out while we were on the way home. 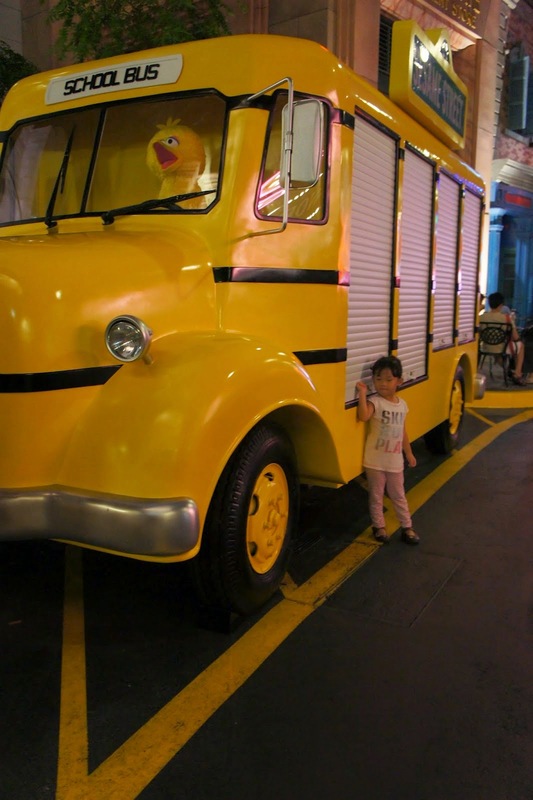 USS can be a place for the younger kids too, kids below 3 enter for free. But if you really want to have a thrilling day, leave the kids out. You won't like to have restless kids while queuing for rides that they can't get on. For myself, I get restless leaving the kids out of fun zone.